Sally points out that the building just behind the trees on the left is the old Eversholt Poor House. 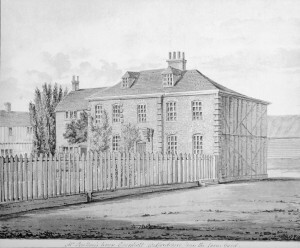 That was demolished sometime after 1834 when the new Poor Law came into effect and the poor from Eversholt were forced to go and live in the Woburn Workhouse. The caption on the picture reads, “Mr. Poulton’s House, Eversholt Bedfordshire from the farm yard”. 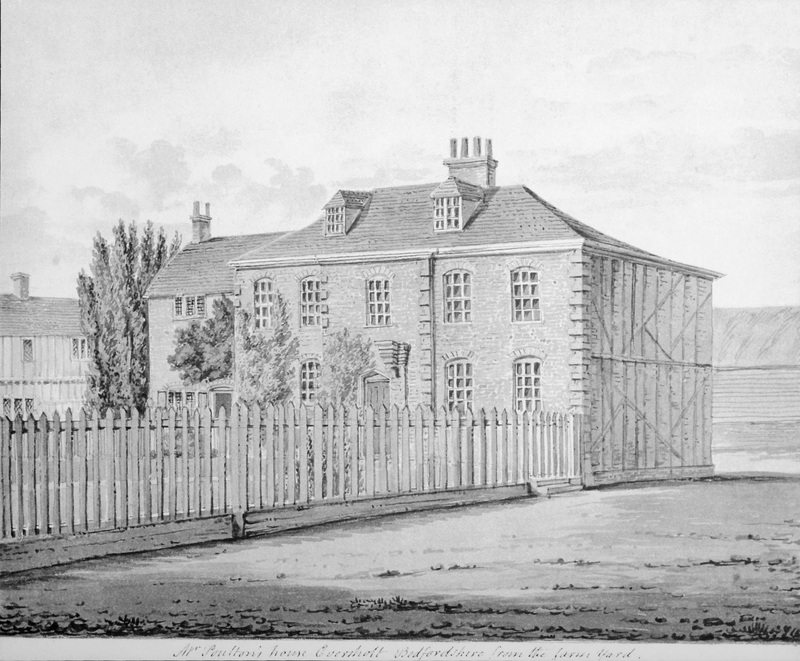 William Poulton and Robert Poulton were each granted land at enclosure in 1808. The Poultons had been around for a long time – here’s another one. Click the picture for a much bigger copy. This version has been photoshopped to enhance the contrast and remove numerous artefacts that look like reproduction flaws. 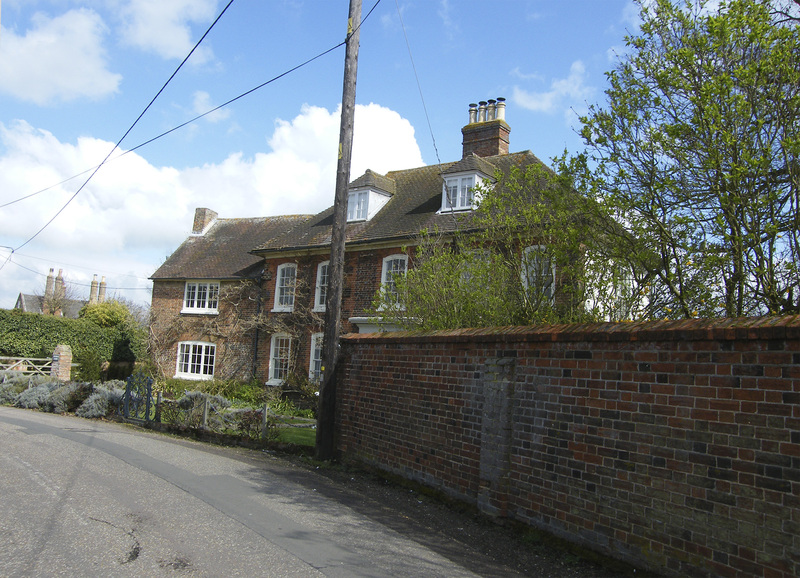 Here’s a 2012 picture of Church Farm taken standing in Church End, vaguely the same direction. Emrys Williams took the two photos below and places them in the public domain. 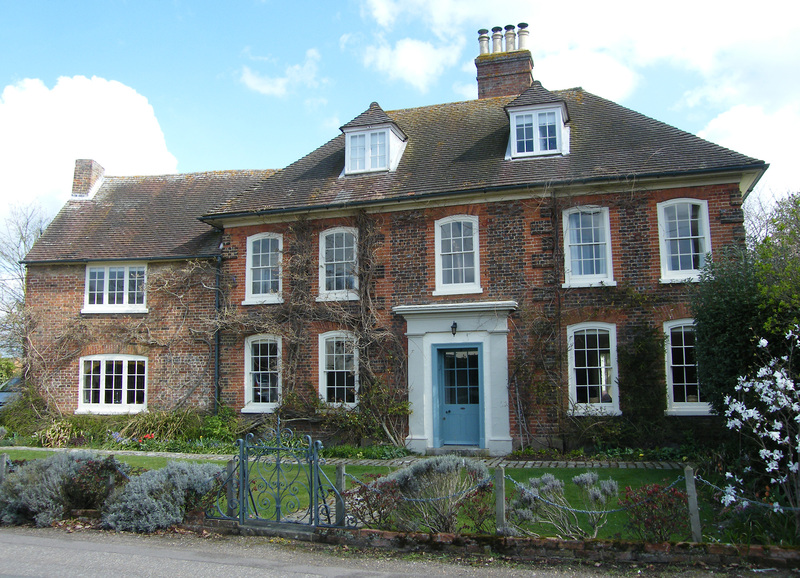 The side of the house is relatively foreshortened on this picture, so the artist for the picture above must have been standing somewhere behind the brick wall in the foreground. So, the farmyard was walled in and converted to a garden. Oh, how ugly phone and power lines are. Here’s a view from a more conventional aspect. What a handsome house! Especially now I’ve photoshopped the *^*&^*& power lines out of the picture.